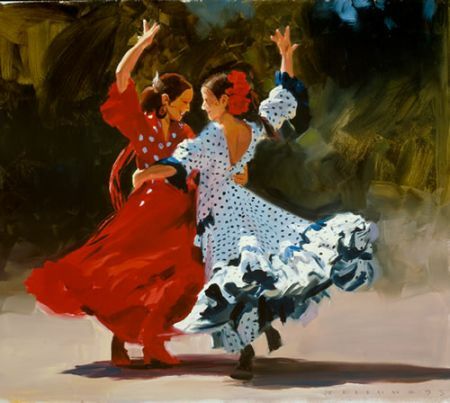 Gypsies have contributed to spread chiromancy or palmistry, that is the art of becoming familiar with a person and predicting his future reading the palm of his hand. Chiromancy, term that comes from the Greek language, is divided in two branches: chirology, so the study of the palm, and chirognomy, that is the study of the form of the hand. 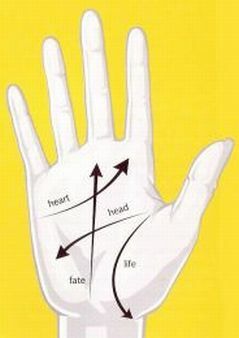 Palmistry roots can be found in Indian astrology. In fact, it is believed that the Wiseman Valmiki wrote a book, today lost, with the title of “The Teachings of Valmiki Maharshi on Male Palmistry”. This art became very famous in China in 3000 B. C. and after in Tibet, Egypt, Persia and up to Greece, where it was practiced even by Anaxagoras. Some traces of Ancient Greece can be found in the terminology, referring to some parts of the palm. Even Gypsies contributed to spread palmistry, and they are still practising this ancient pseudoscience, as it was defined due to a lack of scientific evidences. The heart line: for physical or sentimental heart problems. Depending on its form, it can give you information on emotional stability, sentimental hopes, emotions etc. The head line: it shows how your mind is receptive and it gives you information on how it works and what is its approach to learning, knowledge and communication. The life line: regardless of its length, it shows you your wellness level and it is possible to find traces of cataclysms, accidents or changes which will happen in the future. Another line which is generally found in people who are affected by Down syndrome is the simian crease, that is the fusion of the heart with the head line. Sometimes it can be found even in healthy people and it is considered as a lucky sign, because it shows great mental concentration and imagination, that can mean you are inclined to clairvoyance. Famous people who discovered to have the simian crease are Robert De Niro and Buddha. I really thank you. 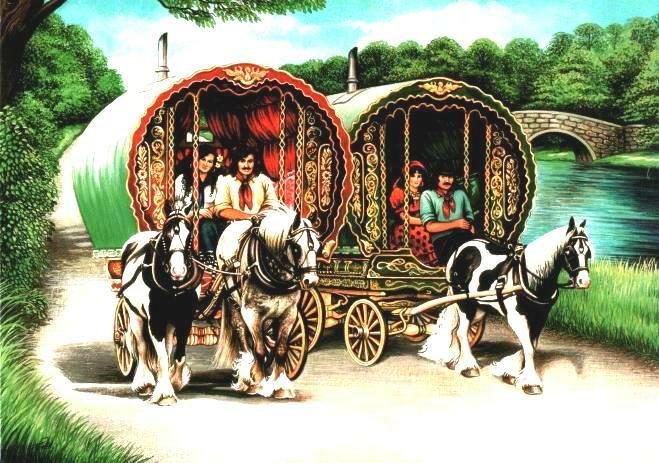 If you want to know more about Gypsies, don’t stop to follow this blog! We are just at the beginning! I just want to tell you that I am beginner to weblog and truly liked you’re web blog. Likely I’m going to bookmark your blog post . You definitely come with fantastic stories. Thank you for sharing with us your webpage. I simply want to say I am new to blogs and seriously loved you’re web site. Most likely I’m going to bookmark your blog post . You certainly have fantastic articles and reviews. Regards for sharing your web site. Thank you for reading me guys! I simply want to tell you that I am beginner to weblog and definitely enjoyed your page. Almost certainly I’m want to bookmark your site . You surely come with great writings. With thanks for sharing with us your web site. You have a very nice blog, containing very nice posts. Thanks for your publication. One other thing is that often individual states in the United states of america have their particular laws which affect people, which makes it quite hard for the Congress to come up with a brand new set of guidelines concerning foreclosed on property owners. The problem is that every state offers own legislation which may have interaction in an adverse manner with regards to foreclosure procedures. Heya, I just hopped over to your web-site thru StumbleUpon. Not somthing I would generally read, but I enjoyed your thoughts none the less. Thanks for making something worthy of browsing. I love what you guys are always up too. Such clever work and reporting! Keep up the great works guys I’ve added you guys to my blogroll. This is a great article thanks for sharing this informative information.. I will visit your blog regularly for some latest post. This blog site has a lot of very helpful info on it. Thanks for sharing it with me. Another nice and fair article on the subject! You’re conducting a great position, in a way which lots of bloggers overlook: conscientiously, diligently, honestly. This is the reason why the will visit ones own page probably ten advertising page. It’s perfect time to make some plans for the long run and it is time to be happy. I’ve learn this put up and if I could I desire to suggest you few interesting things or advice. Perhaps you could write subsequent articles regarding this article. I desire to read more things approximately it! Can you message me with a few tips on how you made this website look this good, Id be thankful! Hi! I’ve been following your website for a long time now and finally got the bravery to go ahead and give you a shout out from Porter Texas! Just wanted to mention keep up the good work! I like the priceless data you supply as part of your articles.I will bookmark your blog page and check yet again right here often.I am really absolutely sure I will find out an awful lot of recent things suitable below! Excellent luck for your up coming! Such a wonderful post to share on facebook, thank you! I just like the priceless data you offer you in your content.I’ll bookmark your blog page and look at once again below often.I’m fairly guaranteed I’ll discover lots of recent stuff precise here! Superior luck to the next! A cool blog post there mate . Thank you for the post . Tremendous things here. I’m very happy to look your article. Thank you so much and I am taking a look ahead to touch you. Will you please drop me a mail?